The principal responsibility of a professional third party logistics company selected to transport your goods is that the product arrives at the destination safely, on time and damage-free. Not only must unitizing, loading, and unloading are handled correctly, but making sure the right equipment is always used is essential. Truck companies using the wrong trailers, for example, can create a load of headaches. In trucking, one size does not fit all. Trailers are designed for different purposes, weight capacities, load heights, and configurations to ensure that particular freight is handled in the safest possible manner. For example, loads of grain and liquids cannot be efficiently transported on a flatbed trailer. Similarly, non-refrigerated trailers are not appropriate for handling a load of frozen food products. Weight and height restrictions are essential considerations. Using a standard flatbed truck for transporting tall, heavy-duty equipment may not be possible. Not only can the wrong equipment choice be dangerous, but it can also be illegal. 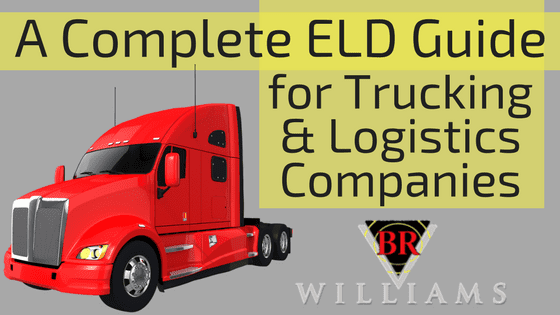 An industry website, TruckFreighter.com, lists fourteen general categories of freight trailers used by trucking companies today. Even these have some variations in size and configuration to meet the needs of specific types of freight. Flatbeds: Flatbeds are useful for hauling large heavy loads like lumber or certain types of equipment. Loading and unloading are easy with a flatbed, although securing the cargo is critical. Flatbeds handle up to 48,000 lbs with trailer lengths of 48 ft and 53 ft. One drawback is that the load is exposed to weather conditions even when it is adequately covered. Dry Van: With a box-like enclosure, dry van trailers are among the most common trailers on the road. This equipment protects the freight from the elements and may be quickly loaded from a dock with forklifts and pallet jacks. These trailers are appropriate in all kinds of weather. Refrigerated: A truck company uses refrigerated trailers for carrying perishable items that require either a frozen or cooled environment. This type of trailer is designed for food products especially and can be loaded the same way as a dry trailer. Drivers must continually monitor temperature levels and the condition of the refrigerating unit. Step-deck: Step-deck and lowboy trailers are options when the trailer and freight measure too high for a standard height flatbed. Since the upper height limit restriction for the combined trailer and freight is usually 11.5 feet, the step-deck trailer reduces the maximum height by two feet to allow for legal clearance. Removable Goosenecks: These trailers, also referred to as RGN, can handle the tallest and heaviest loads. They can carry up to 150,000 lbs with up to 20 axles. For even larger loads, Extendable RGN are available, although special permits may be required. Side-Kit: Sometimes a trucking company will equip side-kit equipment that has 4-foot wooden paneling to haul gravel, dirt, and other unpackaged bulk materials. These are similar to flatbeds and are usually equipped to haul 45,000-pound loads. MultiCar: The truck and auto industries have created auto carriers that are capable of hauling up to eight automobiles and light trucks. These loads must never exceed standard height limits. Conestoga: These trailers combine the ease of loading and cargo protection that a trucking company may require. The trailer can be loaded similarly to a dry van, although the rolling tarp system allows for access from either side for easy unloading. Tank: These trailers are virtual liquid storage tanks on wheels. For hauling gasoline, petroleum, water or other liquids, tank trailers are the answer. The systems often include meters to determine the fill levels and dispensing quantities. 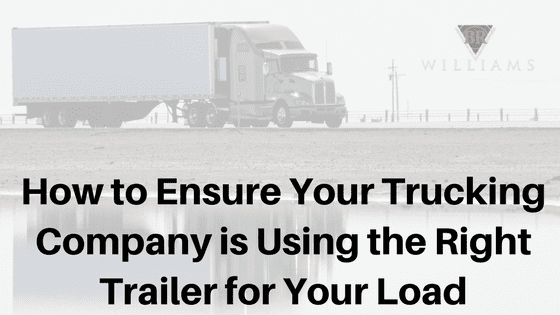 The best way to ensure your truck company is using the right trailer for your load is to make sure you are working with a proven and professional supply chain logistics company. A world-class 3PL company located in Oxford, Alabama, the BR Williams professionals have been expertly managing supply chains for a wide variety of industries for 60 years (since 1958). 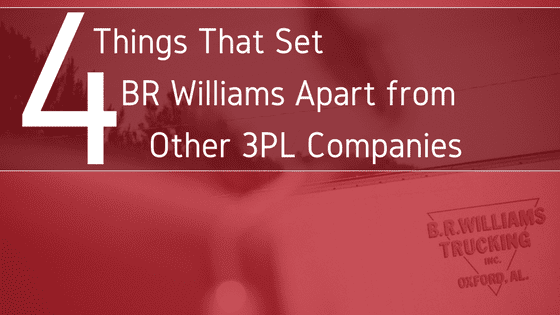 While retaining many of their original clients, BR Williams continues to grow by delivering freight on time and undamaged. Their systems and equipment are state-of-the-art. 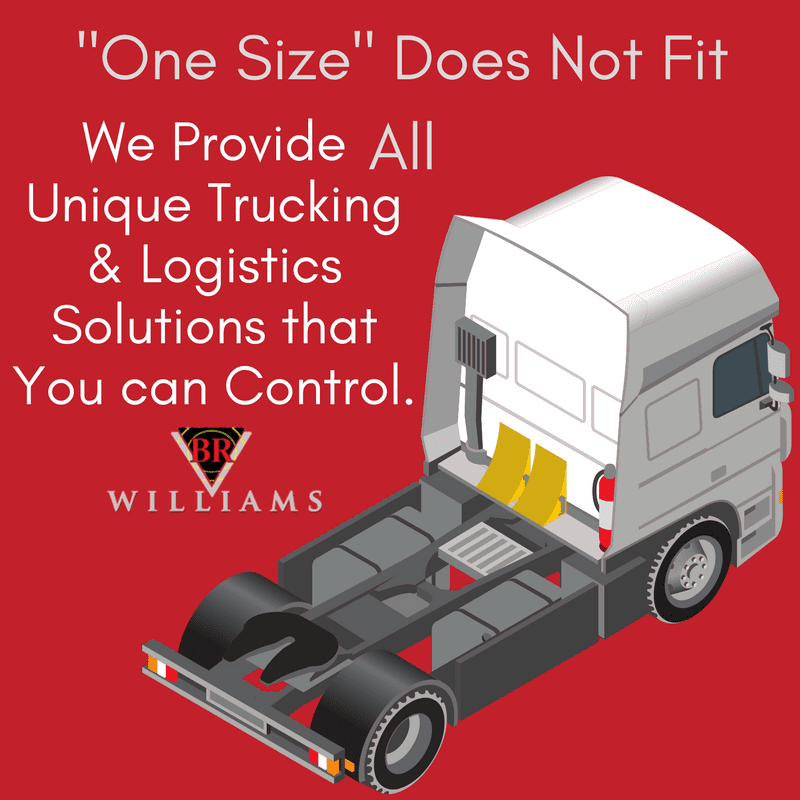 No matter what type of freight, BR Williams will provide the best tractors and trailer combination for every job. 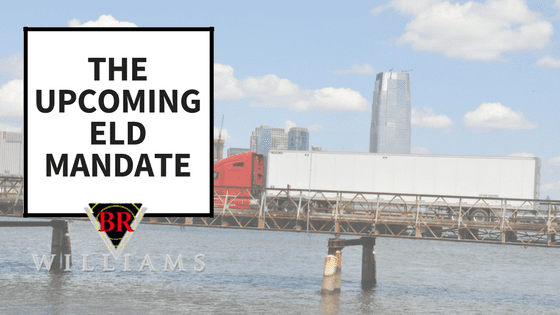 Whether the load is heavy equipment, dry products, or refrigerated foodstuffs, BR Williams will never compromise the client’s shipment. Contact us today!